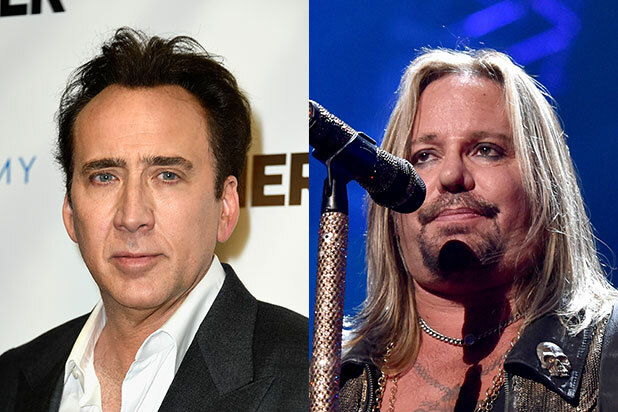 How about a Cage match in Las Vegas, Vince Neil? Motley Crue frontman Vince Neil and “Raising Arizona” actor Nicolas Cage were captured on video getting into it in front of the Aria Hotel in Las Vegas on Thursday afternoon. In the footage, Neil is seen lumbering toward Cage, after which the two grapple. The faceoff (or, if you prefer, “Face/Off”) appears to have been surrounded by another layer of drama. The Las Vegas Metropolitan Police Department told TheWrap that Neil was cited for battery Thursday evening, after a call came in from the hotel at 5:24. A female made a report to the police that Neil approached her, grabbed her by the hair and jerked her to the ground. Neil was released at the scene, police said. According to TMZ, which published the video on Friday, the altercation occurred after Neil was accused of attacking a woman who asked Cage for an autograph. The site reports that Neil allegedly grabbed the autograph seeker by the hair and pulled her to the ground. Police are reportedly investigating the alleged incident. TheWrap has reached out to spokespeople for Neil and Cage for comment. In the meantime, with drama like this, one has to wonder if Cage is considering leaving Las Vegas. Ahem. Beatrice Verhoeven contributed to this report.